Directory of 5 South Dakota Elk hunting lodges, guides and outfitters in South Dakota. Elk hunting in south central South Dakota is a little known secret, up until 2012, the state record was taken here on the rosebud Sioux tribal forest preserve. The hunt takes place on approximately 50,000 acres of heavily forested ponderosa and oak covered canyons surrounding the little white river. We can design the hunt to your own special needs. The elk hunting on the Rosebud Sioux Tribal Forest Preserve is on a bid system. Rifle and Archery hunts available. Bull & Cow hunts available. 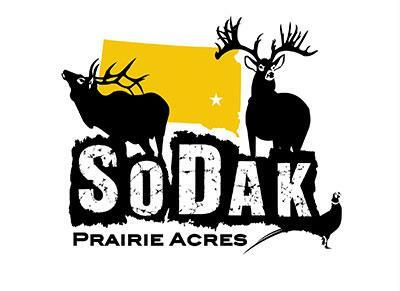 SoDak Prairie Acres welcomes hunters of all ages to take part in our fully guided trophy whitetail and elk hunts. It is important to us to provide the ultimate hunting experience to all who wish to pursue the abundant trophy animals at SoDak Prairie Acres. We welcome seasoned veteran hunters, youth hunters, physically handicapped hunters, and all others who enjoy the thrill of the hunt. The majority of My Elk Hunts take place on Black Hills National Forest land. We focus on Four units for our hunts. This ensure you the hunter that we know exactly where the Elk live and move. We have a variety of terrain that we can match to the hunter desires. Elk Hunting in South Dakota is Limited to Resident Hunter only at the present time! Big game hunts (elk,deer,antelope,bison) are available with a limited number of guaranteed tags. Spring turkey hunts can include up to five tags per hunt. Also available are pheasant hunts,grouse hunts,coyote hunts, and prairie dog shoots. Rosebud Reservation trophy bull elk hunting is a specialty of ours here at South Dakota Expeditions. It is a great guided hunt for a tropy of a lifetime. Very few will get the opportunity that this hunt offers. We only book 1 trophy archery hunt per year and a very limited number of Bull elk tags are available yearly. The opportunity for a super bull is there but you have to get a tag first and then also have the right guide booked.